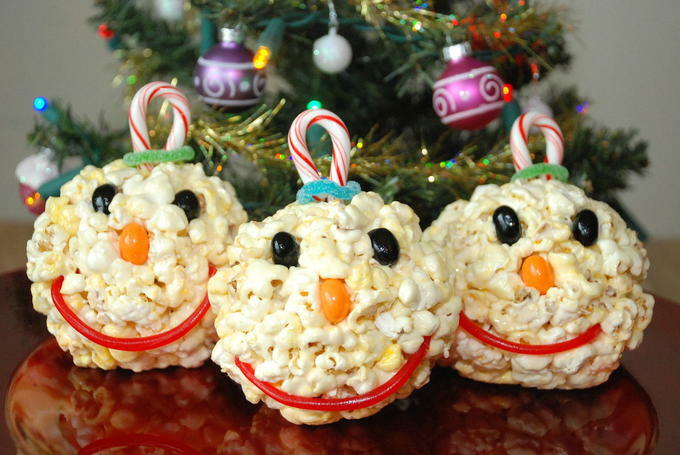 These super cute snowman marshmallow popcorn balls are SOFT and CHEWY. Their bright smiles match the good taste – a chewy treat. These were a huge hit at a party we had. The kids went on a selfie photo hunt. And at their final photo spot these popcorn balls were wrapped in boxes under the Christmas tree. When the kids found them, there were lots of squeals. They are almost too cute to eat. But to make them, you melt butter and marshmallows. Then the popcorn is stirred in. 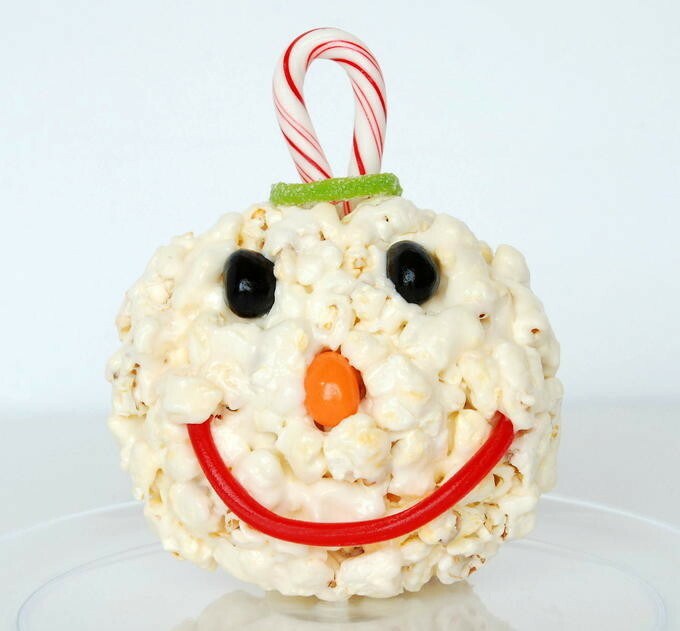 To make the face, put the candy in its place and build up the popcorn around it – so the candy stays on. In a large pot, melt butter and marshmallows on low heat. Stir constantly. (But, don’t turn up the heat to hurry it along.) As soon as the marshmallows are melted, remove from heat. Add vanilla and stir. Cover hands with butter. Then form popcorn into a 3” wide ball. 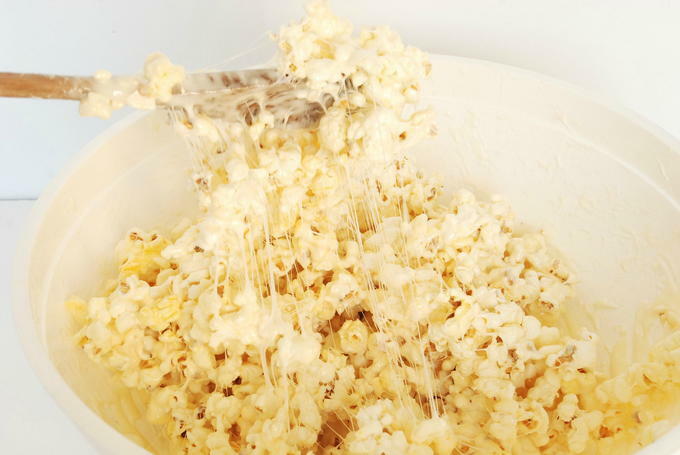 Press candy into popcorn. 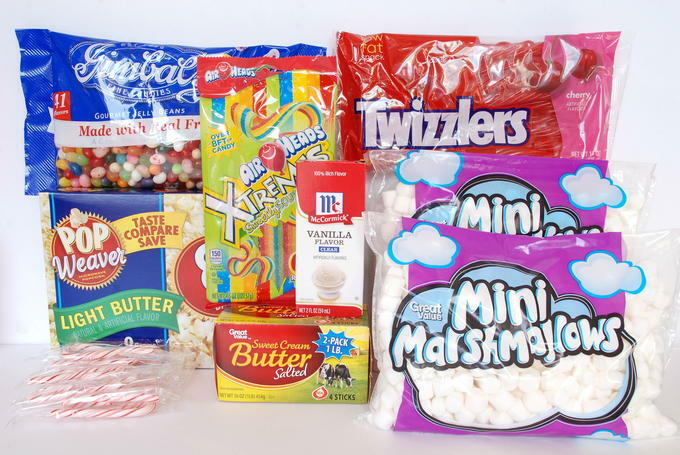 Be sure to support the candy, by building up the popcorn around it. This keeps the candy in its place or else it will fall out. 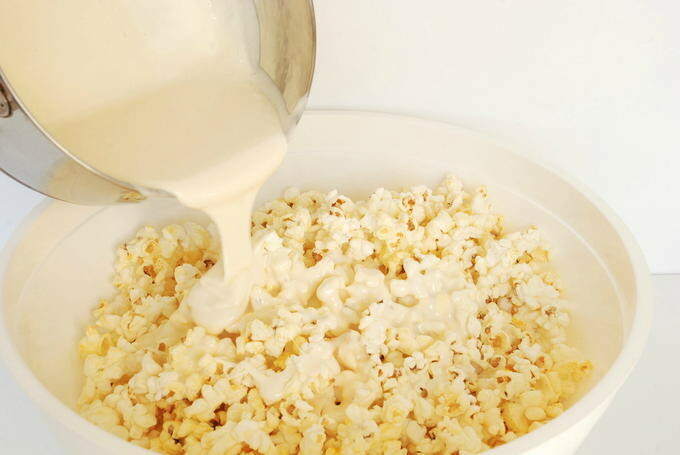 The popcorn mixture firms up (if left in the bowl) – so work quickly to form the balls. My recipe makes 8-10 three inch balls. So you may want to make two batches. You can have fun by adding food coloring. We like to make pink popcorn balls for Valentine’s Day. And because they taste so good – we often make this recipe without the candy decorations. But adding the candy sure makes this snowman come to life.